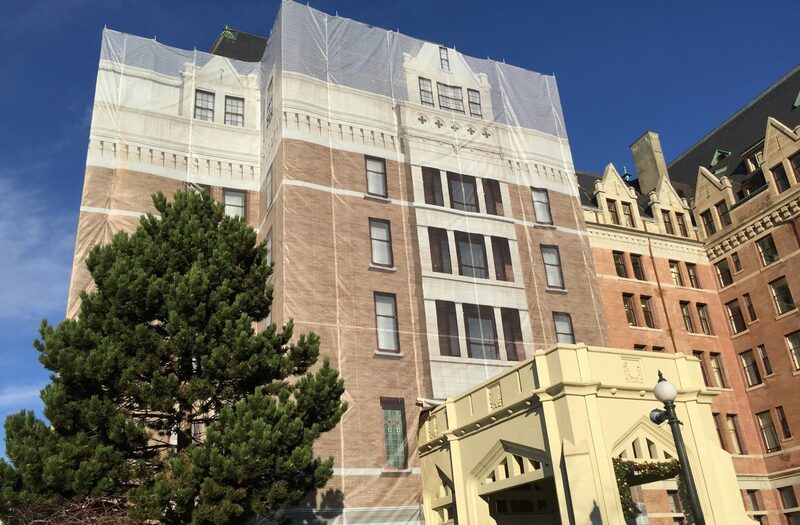 The Fairmont Empress Hotel was recently renovated, both interior and exterior, which required the central portion of the Victoria heritage landmark building to be wrapped in scaffolding for about 9 months. 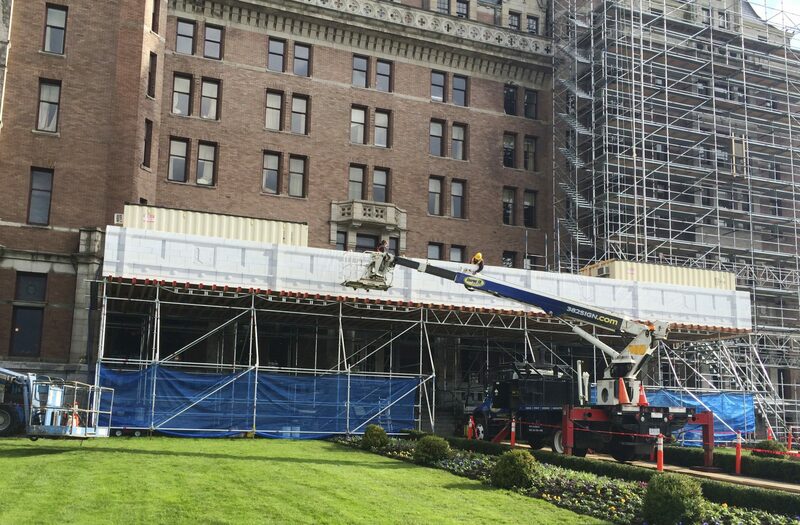 The client hired us to create a 46,000 square foot image which was printed onto the construction wrap which draped over the scaffolding. The challenge was to create a clean image with none of the ivy which, left unchecked for decades, had obscured much of the façade and damaged the stone, brick and windows, necessitating the repair work on the exterior. 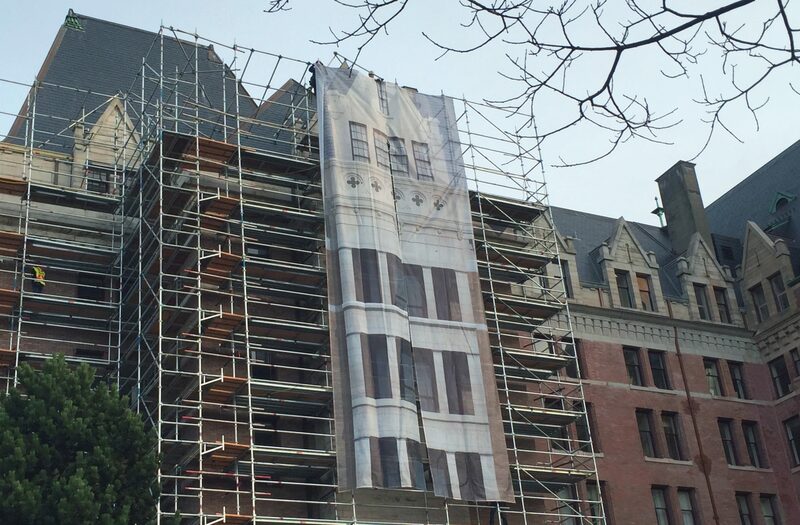 So much of the building was hidden by ivy that it quickly became obvious photography alone could not be used to create the massive image, no matter how much retouching was done. 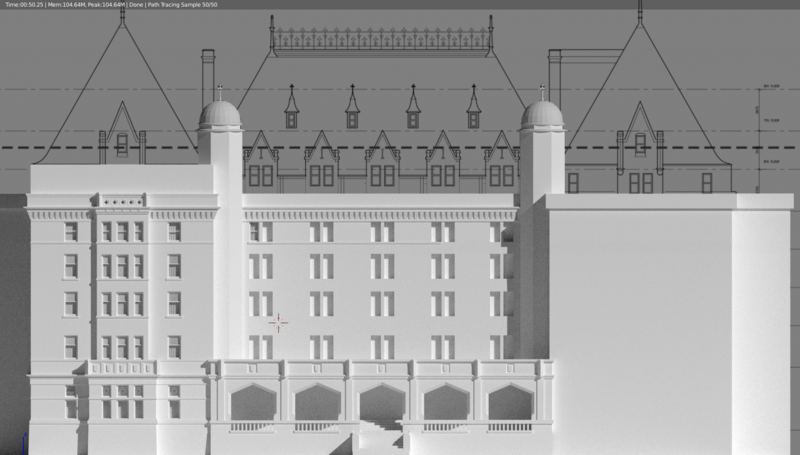 Using Sir Francis Rattenbury’s architectural plans from 1904, archival photographs, and a tape measure, we built an extremely accurate 3D model of the building. 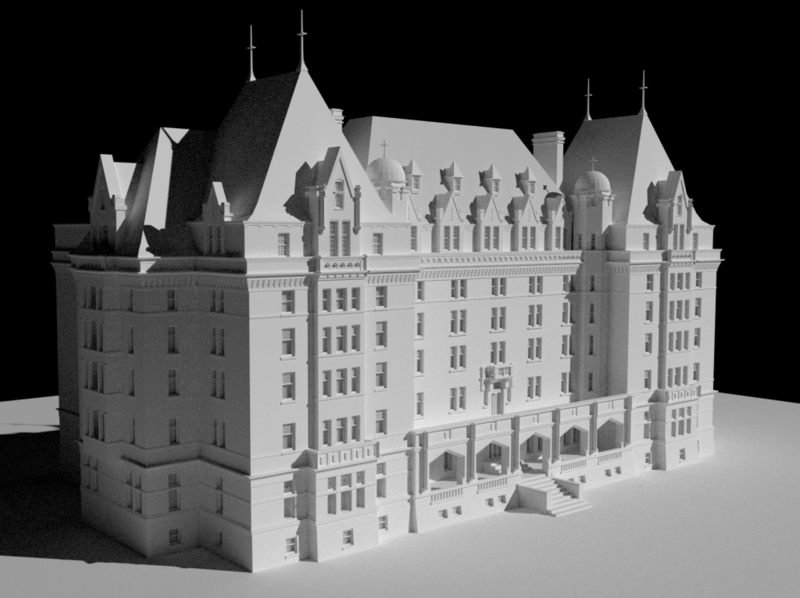 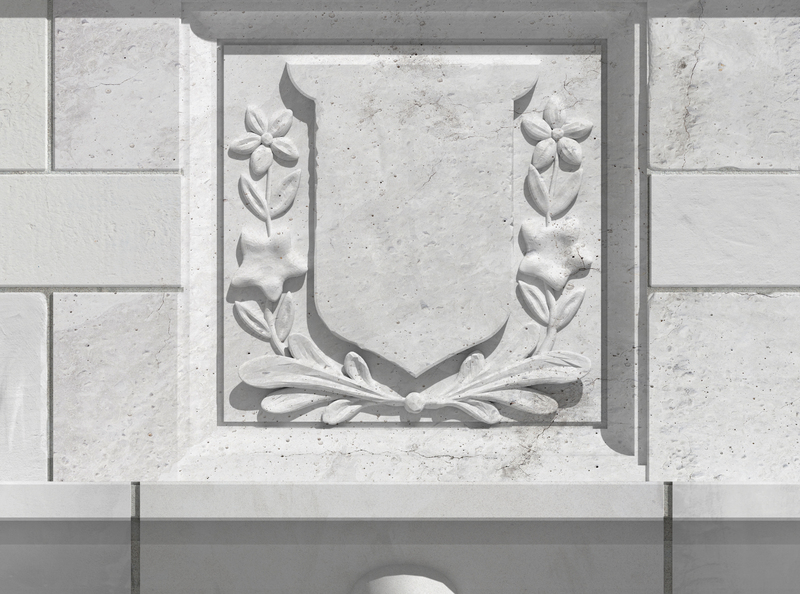 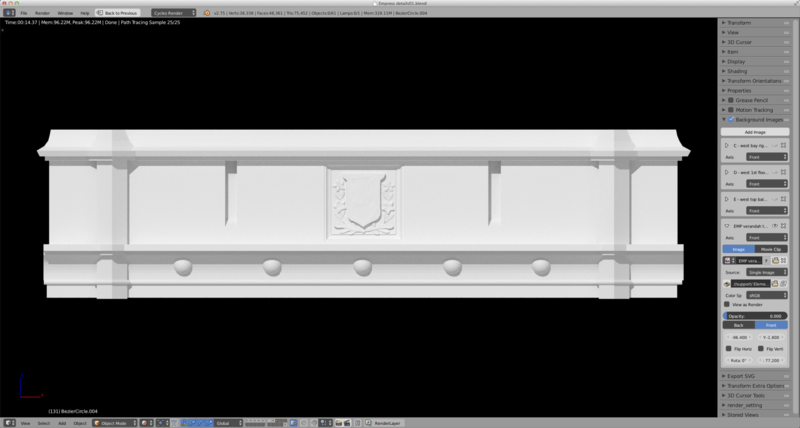 To the model, we applied a photorealistic 'skin' composed of detail shots of windows, brick and stonework, creating a virtual digital restoration of the original 1908 building façade. 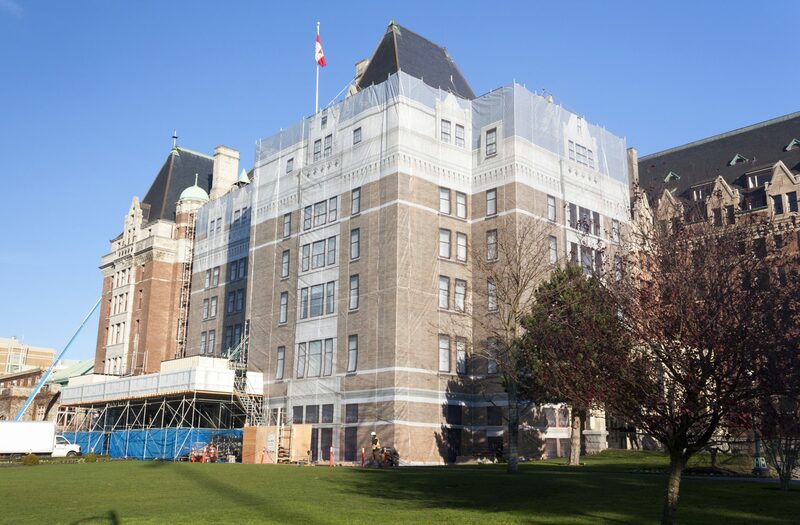 The wrap consists of 46 panels of mesh (each 100 feet high x 10 feet wide) which wrap around the front and sides of Sir Francis Rattenbury’s original 1908 building. 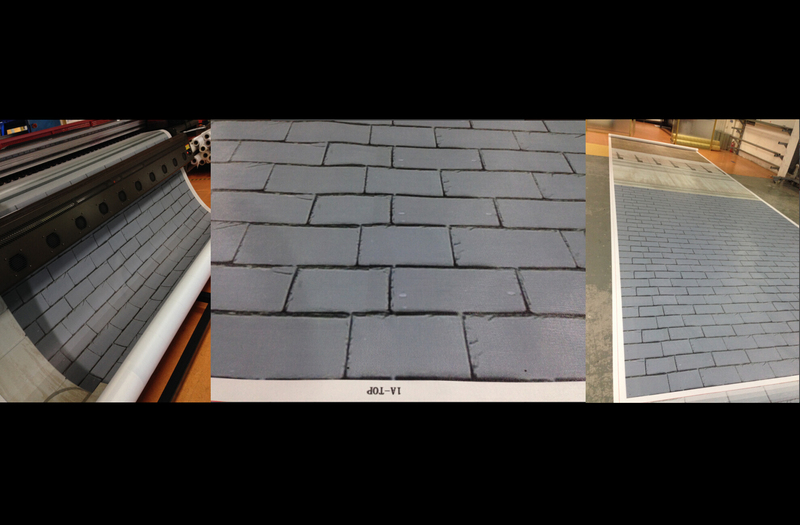 The image is a composite of high resolution photos and 3D renderings.